This month was a bit of a slow month for Jubilee items coming to the market. 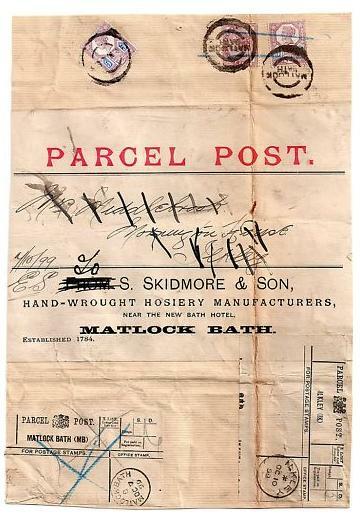 The most attractive item was this parcel label with an unusually high franking of 1s 4 1/2d which sold for £42. This piece bearing five 5d purple & blue is cancelled by the boxed ds of the Niger Company in Akassa. 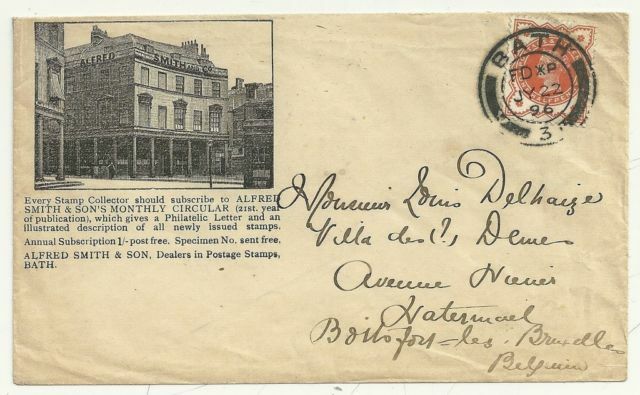 All the Niger Company cancels are listed by Stanley Gibbons and priced for each stamp. 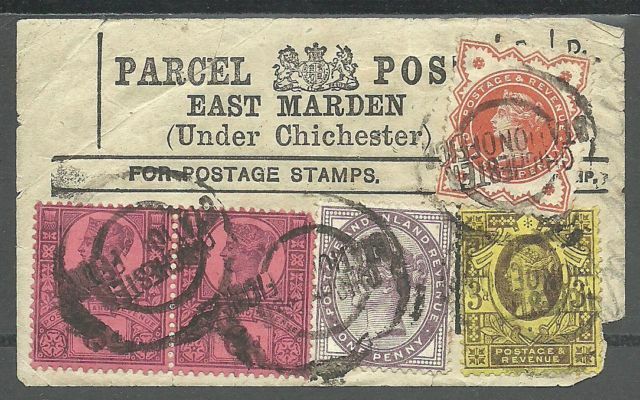 In this case the catalogue value is £100 for a single stamp. It sold for £86.33. 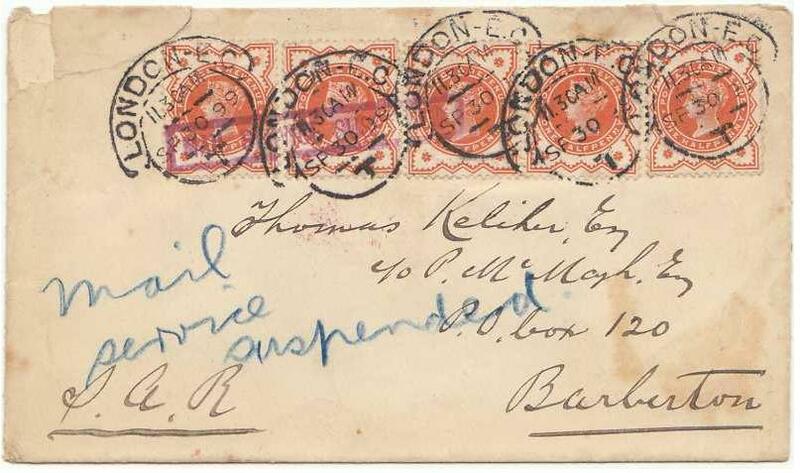 This attractive maritime cover only received one bidder at £40…me! Featuring a block of four 1/2d vermilion and a single, they are cancelled by Glasgow cds, but also by a dotted lozenge with anchor. 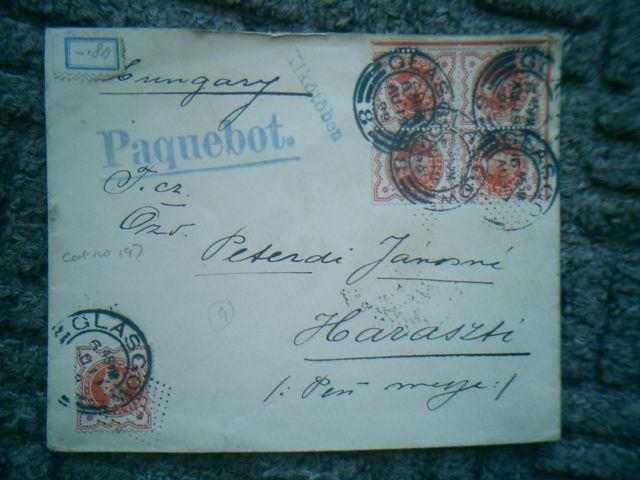 I’ve read something about these covers before being the work of a Captain with a philatelic eye. When I find the article I’ll be sure to post it here. 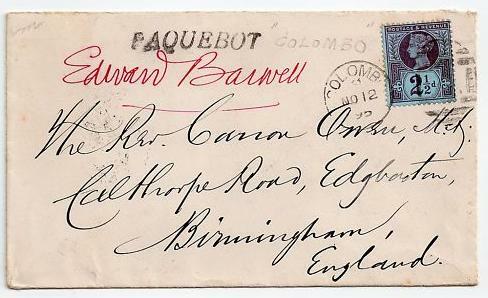 This advertising cover is from Alfred Smith, a stamp dealer in Bath and profuse publisher of advertising envelopes. This is the first time I have seen this type (the most common ones being with the “New Address” overprint. There was only one bidder at £49.99 (not me this time). 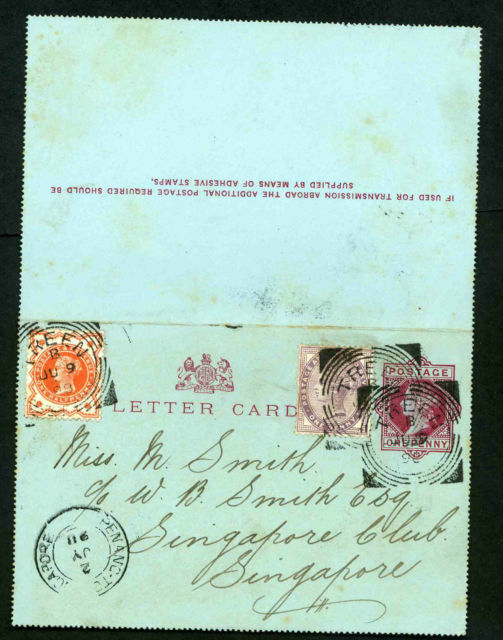 And finally this slightly soiled cover sold for £41.75 due to it’s scarce destination: Singapore!